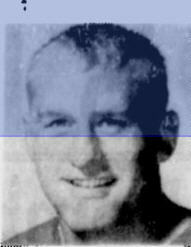 Larry Tomlinson hails from O'Neill, Nebraska where he was an All-State selection in 1958 for the St. Mary's eight man high school team. Tomlinson's accomplishments in high school have since earned him a place in the Nebrask High School Sports Hall of Fame. Following high school, Tomlinson played college football at Nebraska with the powerful Cornhuskers. 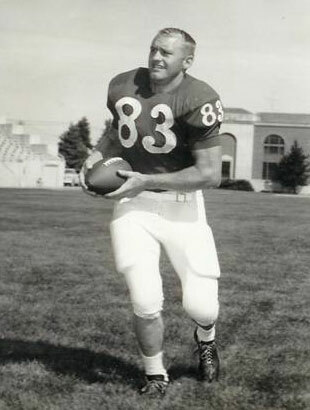 Tomlinson joined the Montreal Alouettes in 1964, playing three games and recording one interception which he ran back 40 yards for a touchdown. In his second season in 1965, Tomlinson played all 14 games and was used mainly on offense where he caught 28 passes for 476 yards. The East at that time was not noted for its passing attack and those 28 catches while low by today's standards, was good enough tor to tie for fourth best in the East that season. Tomlinson finished his career in 1966, playing just wo games, one with Montreal and one with Hamilton. After leaving football, Tomlinson remained in Canada went on to a career as a Physical Education teacher in Chateauguay, Quebec. Tomlinson also coached Basketball, another sport he excelled in, and was an assistant coach with the Chateauguay Junior Raiders.